At Volkswagen, we recognize that two wheels are sometimes as good a choice as four. That’s why today at the Washington Auto Show, we announced a new two-year partnership with Bikes Belong, the nation’s leading advocacy organization for biking. Not only is biking fun and healthy—it’s also good for the environment. For these reasons and more, the sponsorship is a perfect fit with Think Blue, Volkswagen’s initiative to promote eco-friendly mobility and motivate employees and customers to practice environmental responsibility in their everyday lives. As part of the agreement, Volkswagen will donate vehicles and funding to support three Bikes Belong initiatives: Peopleforbikes.org, Safe Routes to School National Partnership (SRTSNP) and Bicycling Design Best Practices. The partnership also aligns with our long-term commitment to encourage active lifestyles by endorsing cycling, running and triathlon events. Until the quadrathlon is restructured to include auto racing (we can dream, can’t we? 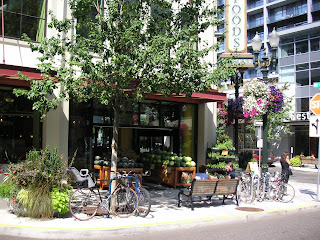 ), we’re happy to support organizations like Bikes Belong. VDOT is studying "potential multimodal improvements that will address existing and future transportation needs in the Interstate 66 corridor from U.S. Route 15 in Prince William County to Interstate 495 in Fairfax County." Inside the Beltway the Custis and W&OD Trails provide good bicycle access to major destinations in that corridor. No such accommodation exists outside the Beltway. A public meeting is scheduled for Thursday, Feb. 2 from 5-8 p.m. at VDOT NoVa Headquarters, 4975 Alliance Drive, Fairfax, VA 22030. This is just south of I-66 off West Ox Road. Cyclists are encouraged to attend the meeting and speak out for bike access along the I-66 corridor. In 2002 the Fairfax Co Board of Supervisors approved plans for a major trail along I-66 similar to the Custis Trail, but it has never been implemented. Now is the time. Bicyclists also need to be able to safely cross I-66, which forms a major east-west barrier in many areas of western Fairfax Co. Please either attend the I-66 meeting to email comments to the study team's leadership (reference "I-66 Tier 1 EIS: Public Comments" in your subject line) at CG.Collins@VDOT.Virginia.gov or Stephen.C.Walter@Parsons.com. Around 40 60-70 cyclists attended the Burke-Springfield bike plan meeting tonight at the West Springfield Governmental Center. Bob Patten of Toole Design Group gave an overview of the planning process. Bob noted that the average commute to work trip for the Burke-Springfield area is 14.2 miles which means that commuting by bike is not going to be an option for many people. However, the average length of approximately 75,000 other trips is less than three miles and could easily be taken by bike. Bob mentioned the idea of having a mini bike share system connecting the north Ft. Belvoir area with the Franconia-Springfield Metro station. A cyclist in the audience noted that when he rides his bike to the store there's often no place to park his bike. Another cyclist said that Arlington, Alexandria, DC and many other cities around the U.S. have somehow found the funds to make their communities more bike-friendly and we should be able to do the same. We're often forced onto major arterials and we need better bike connections. Another cyclist said that kids should be able to ride to school. In many cases kids live directly across the street and can't even walk there because they need to cross a major arterial. Using buses to cross barriers was suggested as one solution that needs to be publicized and made easier. A woman noted that she likes to ride with her 7 year old around Lake Accotink but she's encountered archers hired to kill deer in those areas. She refuses to ride there and ends up going to other, less dangerous areas outside the county. 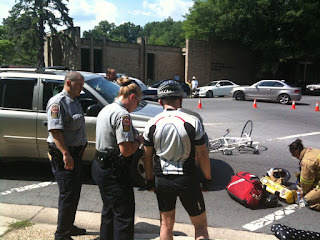 We've heard about this from a FABB member who has the same concern along the W&OD Trail between Reston and Vienna. If you aren't aware, Fairfax County has opened up many parks to archers this year. After the group discussion people gathered around large scale maps and made comments on where they ride, where they want to ride but can't, and where they'd like to see improvements. They could also comment on other aspects of the plan including bike education, enforcement, and encouragement. 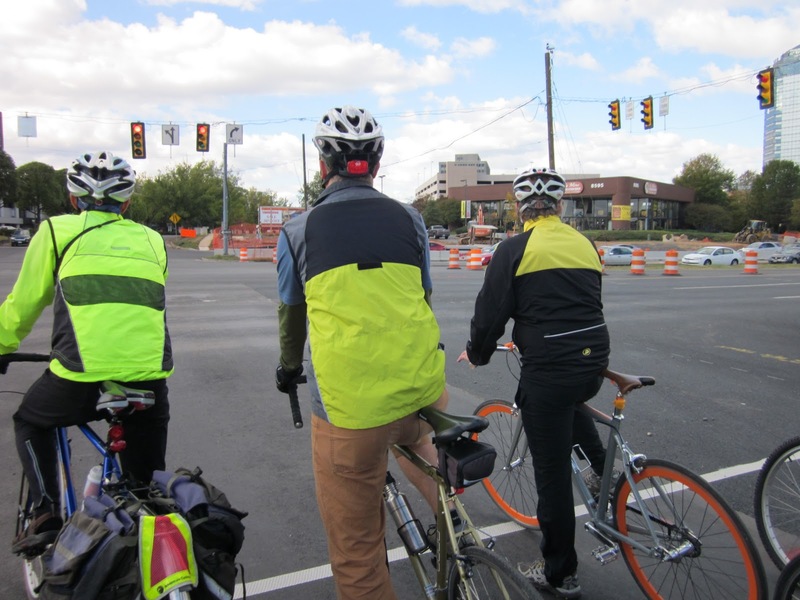 The next bike plan area meeting is for the Annandale area on February 15 at the Mason District Governmental Center, 6507 Columbia Pike, Annandale starting at 4:30 p.m. Since that is on the same night as the FABB meeting, we plan to hold the FABB meeting after this meeting at the same location in Annandale. 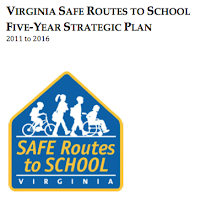 The VDOT Safe Routes to School coordinator just released the DRAFT Virginia Safe Routes to School Five-Year Strategic Plan 2011-2016. Comments are being collected until February 17. The Program Structure will remain as is, with all program elements managed by VDOT’s Central Office. 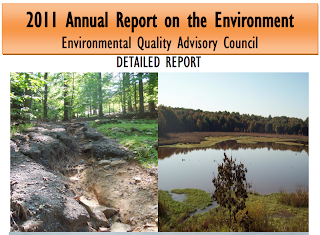 Outreach and Education efforts will focus on aggressive outreach with existing resources, guided by an annual communication plan (developed separately from the Strategic Plan), and by optimizing partnerships with other state agencies. Project Application and Selection will focus on re‐instating the non‐infrastructure application program. Project Implementation and Management will become more streamlined and include clearer guidance. Project Close‐out will become a more reliable and predictable process for the State SRTS Coordinator and grantees. Evaluation and Measurement will include processes to generate information about project effectiveness. SRTS Program Sustainability will provide greater support for VDOT staff working on SRTS projects and begin to identify ways to create self‐sustainable local SRTS Programs. A revised Program Structure that expands the SRTS Advisory Committee’s role, especially with respect to project selection. A more flexible Outreach and Education plan, according to demand by local SRTS Programs and within existing resources. Program Sustainability efforts that focus on making SRTS a part of standard operating procedures for VDOT and participating localities. The Alliance for Biking and Walking recently released their 2012 Benchmarking Report, a report on bicycling and walking in the U.S. that includes "bicycling and walking levels and demographics; bicycle and pedestrian safety; funding for bicycle and pedestrian projects; written policies on bicycling and walking; bicycle infrastructure; bike-transit integration; bicycling and walking education and encouragement activities; public health indicators; and the economic impact of bicycling and walking." 12% of all trips are by bicycle (1.0%) or foot (10.5%). From 2000 to 2009, the number of commuters who bicycle to work increased by 57%. In 2009, 40% of trips in the United States were shorter than 2 miles, yet Americans use their cars for 87% of trips 1 to 2 miles. Twenty-seven percent of trips are shorter than 1 mile, yet 62% of trips up to 1 mile long are by car. Residents of the largest U.S. cities are 1.7 times more like- ly to walk or bicycle to work than the national average. 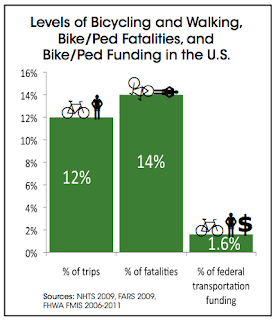 14% of all traffic fatalities in the U.S. are bicyclists (1.8%) or pedestrians (11.7%). In the 51 largest U.S. cities, 12.7% of trips are by foot and 1.1% are by bicycle, yet 26.9% of traffic fatalities are pe- destrians and 3.1% are bicyclists. Seniors are the most vulnerable bicyclists and pedestrians. Adults over 65 make up 10% of walking trips, yet comprise 19% of pedestrian fatalities and make up 6% of bicycling trips, yet account for and 10% of bicyclist fatalities. Cyclists in the Burke-Springfield area are invited to hear about the county Bicycle Master Plan and how they can help to improve bicycling conditions in the county. 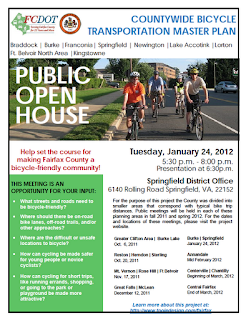 The Burke-Springfield area meeting will be held on Tuesday, January 24 starting at 5:30 p.m. at the West Springfield Government Center, 6140 Rolling Road, Springfield, VA.
A presentation on the planning process will be given after which cyclists will be able to mark up maps and leave comments about what is needed to make Fairfax more bicycle-friendly. Besides indicating possible bike routes, cyclists can discuss the need for better bike parking, better bicycle education opportunities for adults and kids, better enforcement, and ways to encourage more people to take short trips by bike. One reason more people don't use bikes for transportation is the poor condition of our bicycle infrastructure. If you care about having a connected bicycle network, come to the meeting let your voice be heard. See the Burke-Springfield meeting flyer. Then I’d remind him of the economic benefits of cycling — not just for cyclists, but for the community at large. Lower health-care costs benefit all of us. Fewer cars reduces the need for expensive new roads and parking lots, and it means fewer deaths and injuries from vehicle-related accidents. And jobs? Bike projects create jobs, all right — more than 11 jobs per million dollars vs. 8 jobs per million for highways. Plus, bikes and a safe bike-commuting environment help people get to work even if they don’t have a car. In Richmond, some 18 percent of households can’t afford a car, and 60 percent of households share a single car among several adults. Bikes can help them get and keep jobs. Right now, biking and walking make up 12 percent of all trips in the United States and cost about 2 percent of transportation dollars. Yep, there are plenty of strong economic arguments for bikes that should appeal to thoughtful Republicans. I’ve got plenty more where these came from. FABB member Hunter McCleary came to our place today to help with some FABB bookkeeping. We weren't sure if he would be able to ride from his house in Vienna to ours in Reston. Here he is getting ready to leave our place. His hybrid bike has studded snow tires but Hunter said that the W&OD Trail, which he used for most of his route, was mostly clear of snow. At the usual spot just west of Hunter Mill Road it was snow/ice covered but other than that he had no real problems. It sure helps to have snow tires. WABA recently held a bike commuting seminar at The Bike Rack, a bike shop in DC. It was an opportunity for customers to learn about bike commuting from WABA's Daniel Hoagland, who teaches these seminars on a regular basis. The event was a success and now WABA is offering to hold similar seminars at other local bike shops. To some people, bicycling is a fringe activity in which only a few, dedicated people participate. That may have been true in the past but it's no longer the case, especially in vibrant, urban communities. Most of our major cities are trying to transform their streets into more bicycle and pedestrian-friendly places. 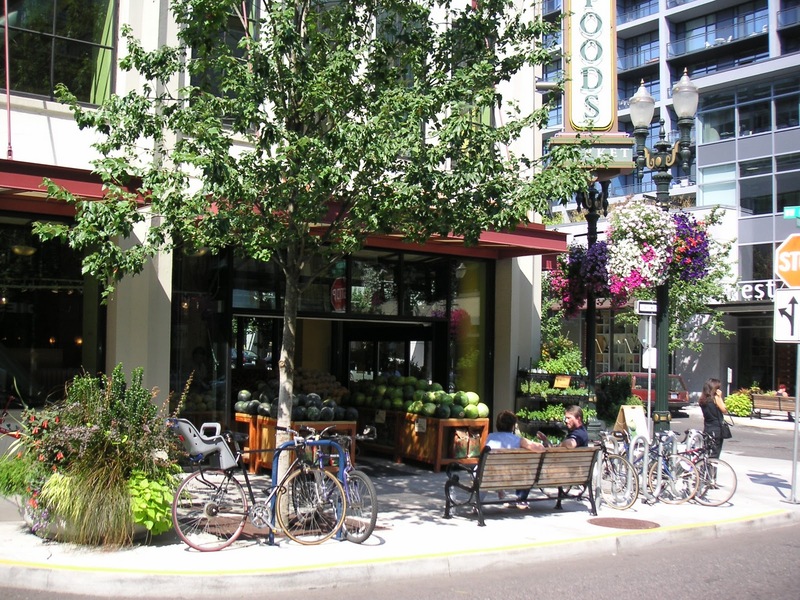 And most of the growth that is now occurring is in urban and inner suburban areas with access to transit and stores and workplaces that are within biking and walking distance. Workers no longer prefer to work in them, companies no longer want to occupy them, banks no l onger will finance them, real estate trusts no longer want to own them band planning boards have become reluctant to approve them. In the future, developers say, offices will be part of mixed-use developments, with shops, restaurants, schools, day-care centers, and doctors' offices, preferably within walking or biking distance of condos, townhouses and Metro stops. Across the region, a generation of baby boomers is getting ready to sell three-bedroom suburban colonials to Gen Xers who either don’t want them or can’t afford them. Add to that a wave of foreclosures and excess inventory left over from a speculative housing boom that has driven home prices in many submarkets to levels below the cost of new construction. For exurban developers, the implication is pretty clear: The raw land they’re holding isn’t worth much and in any case, and there’s not much point trying to build on it until the excess inventory is worked off. Perhaps that is why developments that were started during the boom but were never finished are selling at 35 cents on every dollar invested in land, roads, street lights, sewer and water lines and half-finished golf courses. Even when the market clears, exurban development is likely to focus on low-cost starter homes. All that contrasts sharply with what is going on in the District and inner suburbs, where prices have held steady and a construction boom is under way for new and remodeled townhouses and apartments. Despite the absence of bank lending, speculative condo developments have even begun to spring up in the hotter neighborhoods, almost all of them equity financed. This market is driven by singles, young-marrieds and empty-nesters, plus a growing number of families with children, all looking for a more urban, less car-dependent lifestyle. This has major implications for Fairfax. Those areas that are more dense, with a mix of land uses near transit and that are more bike and pedestrian-friendly will thrive. 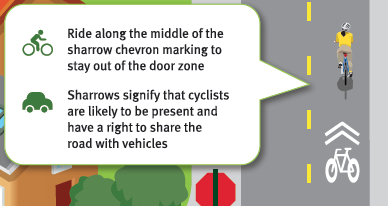 Unfortunately, after years of catering to our car culture, we have few of these areas. Reston, Herndon, Vienna, Burke, and Alexandria have some of these characteristics. Many of our other more densely populated areas like Tysons, Springfield, and Annandale have not developed with pedestrians and bicyclists in mind and are in a transition period. Bicycling has become part of the mainstream and the sooner our leaders recognize the need to accommodate them the better off we will all be. Effective January 1, 2012, BikeWalk Virginia changed its name to Bike Virginia. This name change reflects the statewide, non-profit organization's desire to focus its resources on bicycling and making Virginia a more bicycle-friendly state. "There were three key reasons behind the decision to change our name," said Dr. Kimberly Perry Executive Director. "First, we came to realize that because of the success of our Bike Virginia Tour event, most people here in Virginia, as well as bicyclists across the country, already knew us as Bike Virginia. Second, over the years we've learned that advocating for bicycle and pedestrian issues often led us down different paths and there simply was not as much synergy in addressing both interests as we originally thought. Third, many towns and cities already have well-organized bicycle clubs and advocacy groups and we felt we could accomplish much more by focusing our work with and through them." Recognizing the health benefits, FCPS encourages parents to consider having their children walk and/or ride a bicycle to and from school using existing infrastructure. This parental decision is not subject to review by the principal. Ultimately, parents have the responsibility for selecting their children’s routes to and from bus stops, schools, and home. Parents are also responsible for providing supervision that is appropriate for the student's age, maturity and conditions of the chosen route. The unique procedures for kindergarten students are addressed in the current version of Regulation 8617. The second part of the change relates to retaining bike and ped safety education, which is part of the Grade 1, 5, and 7 curriculum. Until a few years ago School Education Officers rotated through the elementary schools and taught bike safety classes. The classes were dropped when the program was cut. It's critical that kids are taught how to safely walk and bike along our streets. We can't advocate in good faith to get more kids on bikes unless we ensure they receive safety education. We also think they will be better teen drivers if they learn the rules of the road at an early age. Safety Education: The school system will ensure that programs of walking, bicycling and bus safety education shall be established and maintained for students in the elementary schools. Such programs shall be conducted in accordance with Virginia Department of Education curriculums and guidelines. Staff members will provide general safety information to school communities and respond to requests for specific information and advice when practicable. FABB has been advocating for these changes for the past two years. Thanks to Jeff Anderson, a member of FABB who leads Wolfie's bike train (see photo above), who lead this effort. Thanks to the School Board and the Facilities and Transportation staff for their support for the Safe Routes to School Program and for encouraging more kids to walk and bike to school. Much more needs to be done but we're setting the foundation for the future. The challenge now is how to find the resources to ensure that bike safety is taught in all 138 elementary schools. Safe Routes to School grants would help as would reinstatement of the School Education Officers, as was recommended by the School Health Advisory Committee last year. In the Proposed FY2013 Operating and Capital Budget one of the recommendations is to reduce the bike locker rental fee from $200 to $120. From the Fare Recommendations section: "Encourage bike access to rail system by decreasing bike locker rental annual fee to $120." This is good news for Fairfax cyclists. Two years ago, the annual fee was tripled, and Metro predicted that the price hike would bring in an extra $200,000 per year. Metro assumed that the demand for bike lockers was so inelastic that locker rentals would decline less than a 10%. I predict that this 40% price cut will cause a small increase in revenues, both because more lockers will be rented, and because having a bike locker will lead a few more cyclists to take Metro more often. As more people go on Arlington's Car-Free Diet, there are more cyclists and walkers sharing the street with drivers. Whether you're on two feet, two wheels or four wheels, everyone needs to be a PAL to safely share the streets. We'll try to get printed copies to use at our events this year. 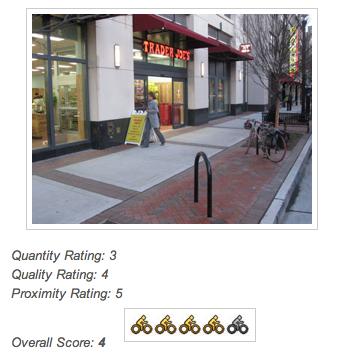 Good job BikeArlington!